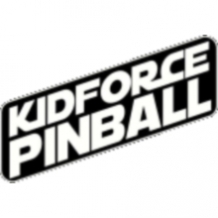 Kidforce Collectibles Pinball Winter League starts up again Sunday Jan 1st, Monday the 2nd, Tuesday the 3rd, Wendsday the 4th, and Thrus the 5th. For the first week, we will be extending the week 1 by a day beacuse of the holiday. Please share this page!!! ONE time 10$ entry fee that goes 100% back to the players, in cash prizes for all divisions. FREE ENTRY FEE TO ALL NEW PLAYERS!!! Open to all ages including seasoned, or novice players.